Sleeping better at night allows you to be more energetic and productive during your waking hours, and enhances your well-being and overall quality of life. 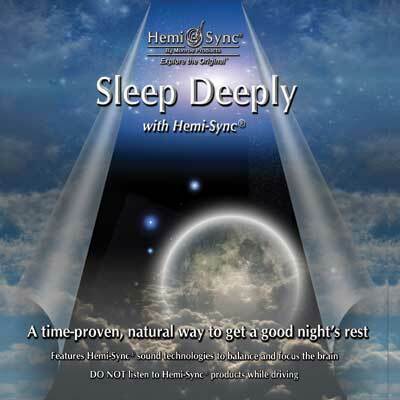 This non-verbal composition can help you enjoy deep and restful sleep the natural way. Hemi-Sync® frequencies — embedded in pink noise for optimum delivery — produce the slower Delta brainwave patterns associated with deep sleep. Play once to fall asleep, or repeat throughout the night to help you stay asleep. Length: 45 minutes.